Often I speak about inspiration. That’s because moments of inspiration provide me the thrill that keeps me hooked on writing. Few experiences are more exhilarating than being inspired. I needed inspiration. For a few days, I had struggled with a scene whose conflict was failing. My idea for the scene was wrong, which kept it from achieving its purpose. I could not find the actions and emotions to make it work. The characters’ motivations did not fit the situation and their behaviors did not lead to the desired revelation. Then I went to see Zootopia. 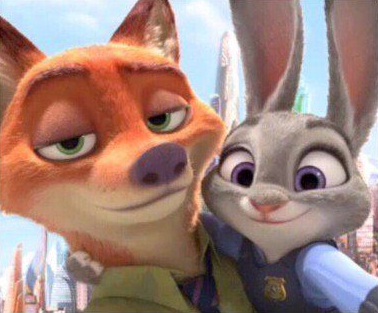 I enjoyed Zootopia. I recommend you see it. In one scene, the two main characters exchanged two lines of dialogue that caused my mind minions to explode. An entire, fully detailed, exquisitely tuned scene came to me that was exactly what I needed for this precise moment in my story. I was ecstatic. I have yet to quit bubbling. After the movie was over, I rushed home and wrote, creating a scene that not only hits the proper action beats, but it hits the emotional beats perfectly to strengthen the relationship between my two main characters. All I had needed was the flash of insight those two lines of dialogue provided me. I look forward to the next great moment of inspiration.